Welcome back all. This was a catch up week for me as I had several days in Minneapolis at a conference and I missed several shows early in the week. One of those shows was Twin Peaks. With last week’s show and this week’s show, there was some really great TV. Just a short while ago, we saw Audrey Horne! After 12 episodes, the Twin Peaks Freaks have been getting anxious about the appearance of the Queen. There has been a ton of speculation that Audrey was Richard’s mother and that she may have had Richard after being sexually assaulted by Evil Coop… but none of that fit with tonight. Tonight, Audrey was yelling at her husband, some guy we find out is named Charlie, whom she has some kind of contract with. And she wanted this Charlie to help her find Billy. Billy is someone she loves. And he was to call Tina. It’s kind of funny that we have waited so long for Audrey to arrive only for her to be involved with a whole bunch of people that we have no idea who they are. David Lynch messing with us again? But there is more than Audrey. Last week we had advancement with the Dougie situation, where he looks to be out of trouble with the gangsters at the casino (including Jim Belushi). Something weird is going on with Sarah Palmer as she seemed to have been triggered by turkey jerky. Ben Horne presented Sheriff Frank Truman with the key that had arrived in the mail that once was the key to Agent Cooper’s room. We saw some progress on the Blue Rose case. Dr. Jacoby continues to hock golden shovels and Nadine is still listening. We found some Bobby Briggs family drama with Shelly and their daughter Becky. There are only six more episodes of Twin Peaks: The Return. What is going to happen? Another event I missed last week was the latest PPV from the WWE, Battleground. 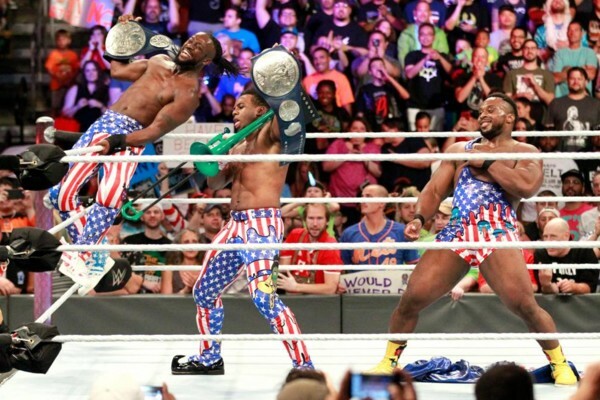 This was a Smackdown Live event and I have to congratulate one of my favorite teams, The New Day, in winning the Smackdown Tag Team Championship in a very enjoyable match verses the Usos. In the match, Xavier Woods was fantastic. Many times, Woods has been made to look like the weakest link of the New Day, but he brought his “A Game” in this match. The other surprise on the PPV was that the Punjabi Prison Match between WWE Champion Jinder Mahal and Randy Orton, which has never been very good, turned out to be a very good championship match. The Great Khali made an appearance to help Jinder with the win. On Collider Video, there has been a ton of content released. Not only is TV Talk going live as of tomorrow, but they continue to have Movie Talk, Heroes, Awesometacular, a ton of movie reviews, and Jedi Council. But this week we had a trailer reaction that was just tremendous. The new trailer for It was released, and Peri Nemiroff, noted horror fan, was going to do a reaction video for It. She grabbed Josh Macuga, host of TV Talk to work with her. Now, it is well known that Macuga hates horror movies and is easily scared. Lately, they have been making Macuga watch these scary videos and play some horror VR games. The trailer reaction by Macuga and Nemiroff is hilarious. Returning tonight on Cartoon Network is Rick and Morty. First they will broadcast the season three premiere which was originally shown earlier this year, and then we will get season three, episode two. The third season has been highly anticipated by the fans of the series for a couple of years. It has been pushed back to make sure it is done properly. 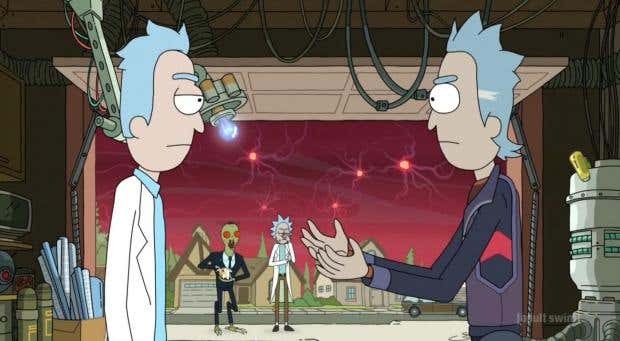 Rick and Morty is one of the funniest animated shows on television and it is good to have it back. Lots of fun on ABC this week. 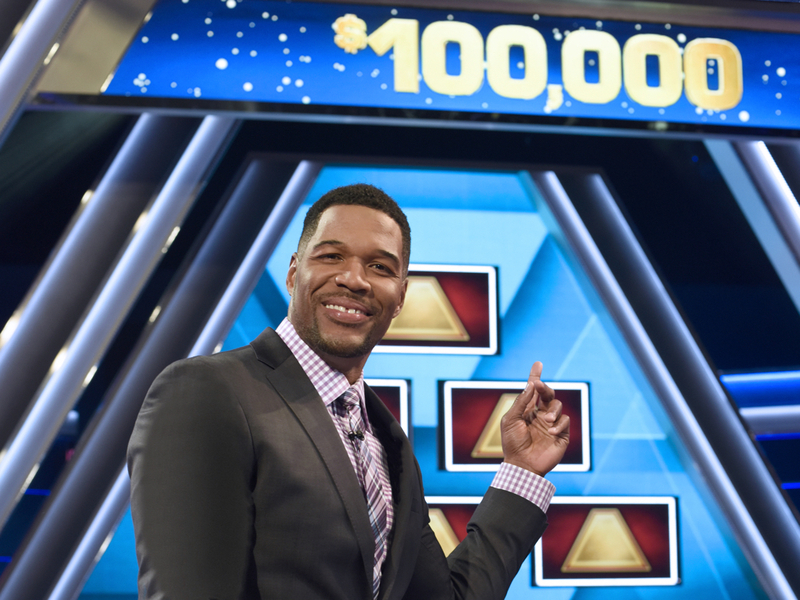 We had a $150,000 winner on Pyramid. The Gong Show continued to be silly fun, and we kept singing “Shaving Cream” as a proper sign-a-long. Celebrity Family Feud brought us Louie Anderson, a former Family Feud host back to the show with his mother, who said it was her lifelong dream to be on the Feud. The Battle of the Network Stars found us concerned over Erik Estrada getting his hair wet. The summer fun on ABC has been wonderful. Have a great week. Happy viewing.